Wearing clothing that has vague undertones of athleticism makes me feel more adequate at sport-related activities than I actually am. In fifth grade I was hands down the fastest runner in my class by far. That was the peak of my career as an athlete. Then I went through puberty and my body decided that enough was enough; running was a big no unless I wanted all my muscles to cramp up. Sure, I dabbled in tennis classes and had the most pathetic tryouts for the junior varsity team. Sure, my dad made me play baseball and basketball outside our house everyday during the summers in an attempt to be well-rounded. But none of it stuck and now I spend more time in front of a computer screen than with sporting equipment in my hands. But these outfits...they give me a chance to pretend and to believe. Olympics 2016, here I come. ...and yes. I do think that just adding four stripes on my sleeve qualifies as sporty. 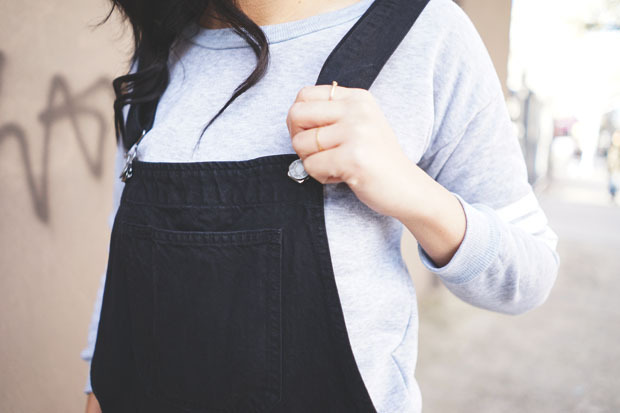 This is the fricking cutest way to wear overalls, ever. Period. You win the internet today! You look so cute. 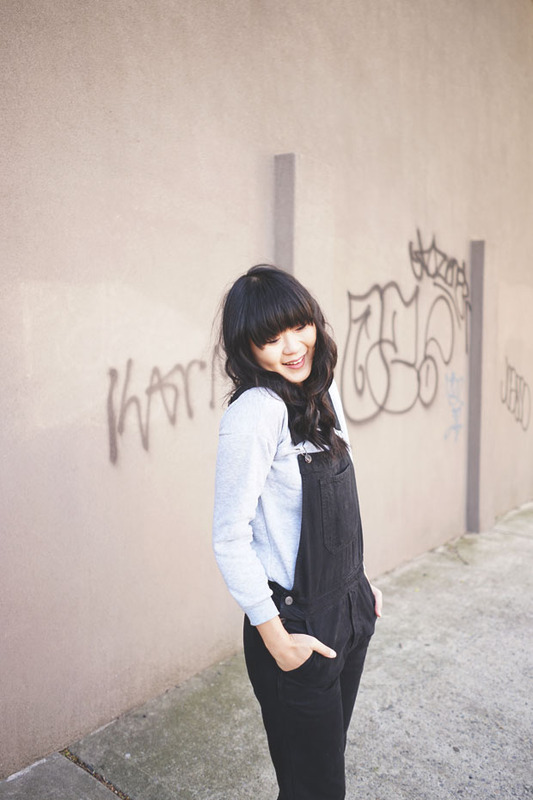 I love your hair in these and you're totally pulling off those overalls. I am very much a pseudo girly-girl. I wear a lot of heels and skirts, but I assure you. I don't do much girly stuff hahaha. 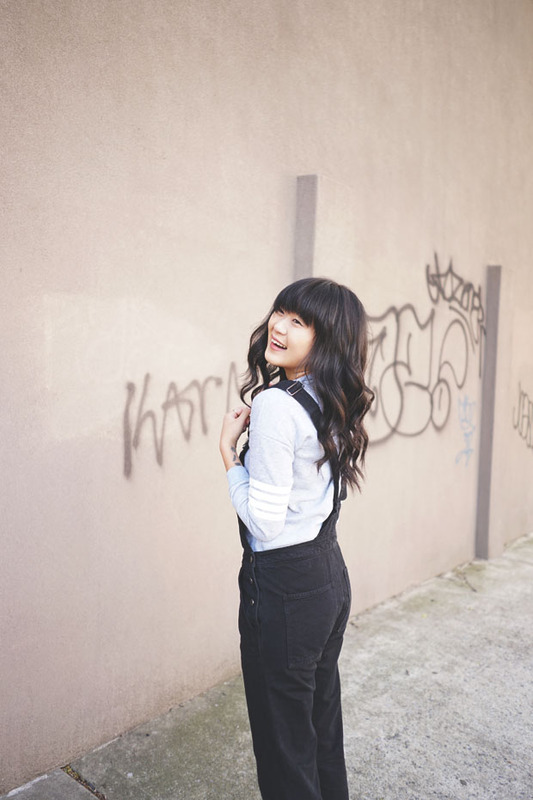 I use to be a tomboy, but all that changed when I grew up and got low self-esteem hahaha. So adorable! I really love that it looks sporty but also girly! So cool and stylish! love the jumpsuit! You are looking so cute dear! such a cute outfit as per usual, Jen! 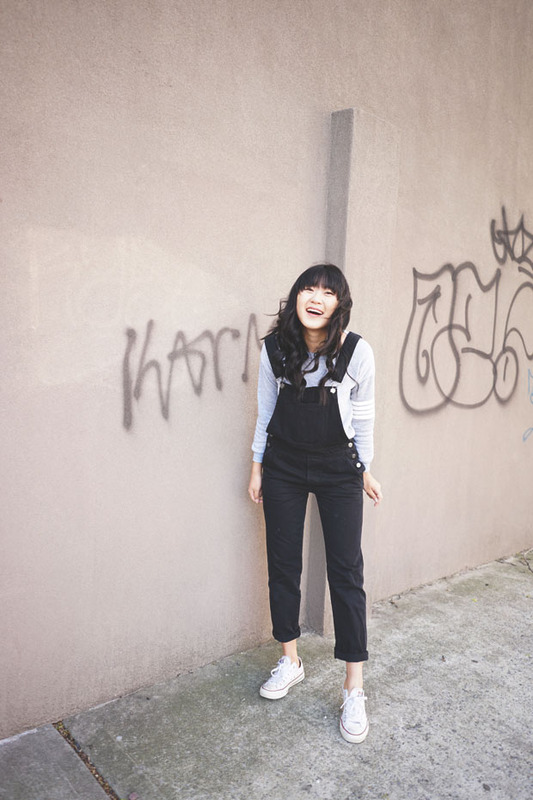 Overalls! Been wanting to get a pair for a good while now.